A common pitfall associated with marketing at scale is sending a promotion to a client who has already purchased or received that product. It’s simply a waste of your marketing dollars. The ability to tailor and customize brand engagement, in real time, is critical to retain and attract clients, which is why Dynamic Yield has created an AI-powered decision engine to build customer segments. This decision engine enables marketers to increase customer engagement through personalization, recommendations, automatic optimization, and 1:1 messaging across every digital channel based on actual behavior and intent. Currently used by more than 200 brands, this company is driving mass personalization at scale; without any slippage. 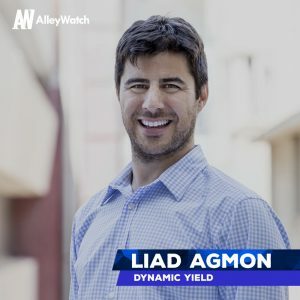 AlleyWatch chatted with CEO and cofounder Liad Agmon about creating this on-demand solution for user engagement and the company’s most recent funding, which brings the total funding amount to $77M over six rounds. We recently announced our Series D round, led by Viola Growth, with participation from Union Tech Ventures. This round brings Dynamic Yield’s total funding to $77M. Tell us about the product or service that Dynamic Yield offers. Dynamic Yield is an AI-powered solution that makes it easy for marketers to personalize every customer interaction, irrespective of the channel the customer is on. For example, if I visited Chubb.com and browsed through home insurance options, it would be great if upon my next visit to the website, I was presented with information related to my previous search. If I bought home insurance, there wouldn’t be a need to continue recommending home insurance options; instead I’d want an email with offers for other complementary services and products. An analogy we love to use internally to describe what we do relates to dating. Suppose you went on a date with someone and met up again after a couple of days. You would expect the conversation to evolve based on the information already shared with one other. This is essentially the same expectation we have as human beings with every relationship we build, including with our online interactions. So as a brand, if I expect to develop a strong relationship with my customer, the conversation also has to evolve, except we do this using data. Dynamic Yield is the ‘brain’ which allows for that to happen, and at scale. Our decisioning engines combine the power of machine learning and predictive algorithms to build customer segments. This enables marketers to increase customer engagement via personalization, recommendations, automatic optimization, and 1:1 messaging across all digital channels including email, web, and mobile apps. Our platform customizes experiences for more than 600M users each month for 200+ brands. What inspired you to start Dynamic Yield? I was an entrepreneur-in-residence at Bessemer Venture Partners, one of the leading global VCs (investors in Pinterest, SendGrid, Twilio, and many other top-tier tech companies), when the New York Times introduced their paywall and asked for payment after reading twenty articles. It sparked a set of questions for me, like why twenty page-views and not ten? Why do all readers receive the same overlay message? And then a whole series of questions around personalized experiences, such as if I’m interested in world politics, shouldn’t I get more world news on the homepage? My cofounder and I started researching why websites and apps weren’t personalized, as it’s seemed so logical for us as consumers. What we realized was that although it was the desire of virtually every marketer out there, many were bound by content management systems and legacy technology that couldn’t support a user-centric view of content. Being engineers, we realized we had an opportunity to become the technology layer that would enable a personalization middle layer without requiring brands to change their existing systems. How is Dynamic Yield different? Dynamic Yield was built from the grounds up as a technology stack that can power virtually any form of personalized experiences. We focused on creating a very compelling experience for the marketers who need to operate personalization as part of their workflow, yet also providing elegant ways for IT to integrate personalization as part of the backend systems and data flows that are needed. Machine Learning is being leveraged across the board for user segmentation, real-time decisions and real-time orchestration of campaigns across web, mobile and email channels. In an ever-increasing complex IT environment, ease of use and ease of integration are just as important as our machine learning decisioning IP. What market does Dynamic Yield target and how big is it? We target virtually every brand that has digital touch points with the customer – online, in the store, and even in call centers. Our technology powers retail experiences, travel websites, financial services, and even kiosk experiences in restaurant chains. We are at the beginning of an era of mass personalization. In the same way we expect all brands today to have a compelling online presence (something which 10-15 years ago wasn’t seen as a ‘must-have’), we’ll look back years from now and wonder how interactions between brands and consumers happened without personalization. How do you manage privacy concerns associated with the data that your company uses to personalize? Dynamic Yield takes the privacy of our users very seriously. We have customers in more than 20 countries across all 6 continents with various laws and regulations when it comes to privacy; so it is very important for us to be compliant with the laws of every jurisdiction we operate in. For example, we invested a substantial amount in ensuring our GDPR compliance for Europe. We appointed a DPO, we offer localized data storage options for our EU customers so their data can be housed entirely within the borders of Europe, and we built a privacy program that employs airtight technical and organizational security measures to ensure customers can use our personalization platform safely to deliver the best possible user experiences no matter what. We recognize the new concepts and rules introduced by the GDPR mark only the beginning of an entirely new era in data protection, which is why we’re advocates of the larger movement to protect individual data rights across the globe and will continue to invest heavily in this area. As a SaaS company, our customers pay us a yearly license fee for using our software, which is derived from the number of customers they interact with. This is a simple, straight-forward business model that allows us to closely align with each customer’s business goals. Funding is the worst part of every startup CEO’s job – I have deep scars from my 15 years in the industry as well as the three startups I founded. It’s complex, risky, time-consuming, and very stressful. 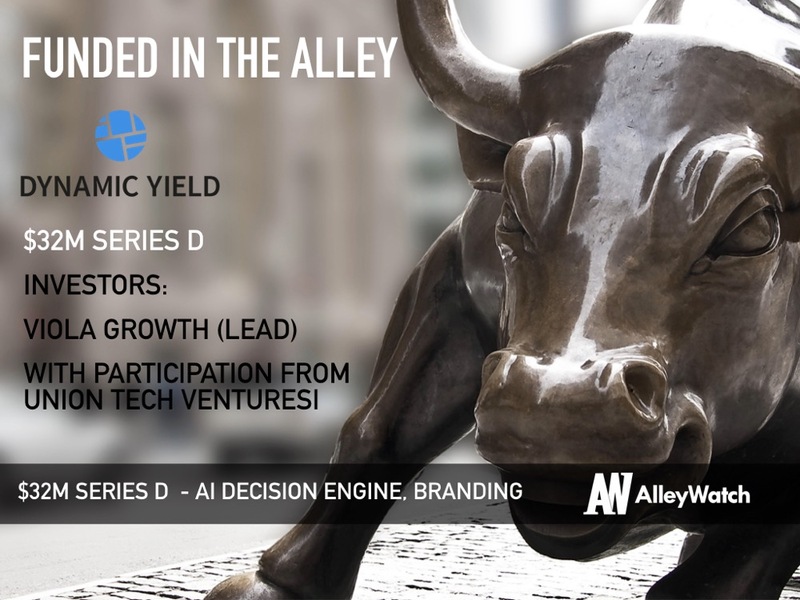 Luckily for us, our fast growth in the last couple of years has made Dynamic Yield a very compelling VC story, so we were able to choose the partner who was ideal for us. I’ve known the partners at Viola for many years and have tremendous respect for them as individuals and investors. When they told us that they were interested in investing, the decision was easy. When we started Dynamic Yield, seven years ago, I had to convince our seed investors that personalization was going to become a major theme in how businesses interact with consumers. Nowadays, personalization is all the rage and almost every other company in the martech space claims to do personalization. So, one of the biggest challenges that we faced was differentiating ourselves in a crowded market. What made it relatively easy for us is our fast-growing list of tier-one customers and the great references they provide. A few weeks after we finalized funding, we hit the top-right of Gartner’s Magic Quadrant for Personalization Engines, making our new and existing investors proud. One of the biggest challenges that we faced was differentiating ourselves in a crowded market. What made it relatively easy for us is our fast-growing list of tier-one customers and the great references they provide. A few weeks after we finalized funding, we hit the top-right of Gartner’s Magic Quadrant for Personalization Engines, making our new and existing investors proud. I believe our accelerated revenue growth in a highly sought-after market was the most compelling factor. Then, of course, the composition of our top-notch management team, who works very closely with each other and our unique technology; and as I mentioned, positive customer references. I’d like to hope they were also impressed with the CEO, a.k.a. myself. We plan to continue growing and investing in every aspect of our business: product and engineering, sales, as well as marketing and services. Although North America is our biggest market, we already have 25 employees in Europe and about ten in APAC. That global expansion will only stretch further with a strong focus on our partner network: system integrations, agencies, and consulting firms. Getting funded is brutal – the best way to get funded today is to prove you have highly satisfied customers and a scalable way of growing in a large market. If you don’t have fresh capital in the bank, you have to do it the old-school way by becoming profitable and growing more slowly. My cousin, Gil Shwed, started InfoSec CheckPoint in his early twenties and raised $300K which he never used because they were profitable every year since inception. If you ask him, that’s the only way to go. I think the 90’s were different and less aggressive than current times, but we’re talking about a $19B public company that was bootstrapped. We simply strive to create the most powerful yet easy-to-use personalization engine in the market, and we are looking to continue expanding beyond web, app, and email use-cases to the physical world: in-store Kiosks, call-centers, IoT and other modern digital interfaces that connect between consumers and brands. Basically, we want to become the industry’s first personalization anywhere platform. With two young kids at home and a global team, who has time for drinks? But as my wife and I live in Williamsburg, one of my favorite places for cocktails is Hotel Delmano.